The garden path outside my door, step by step, displaces anxiety with serenity, feeds my creativity, brings me pleasure and joy. 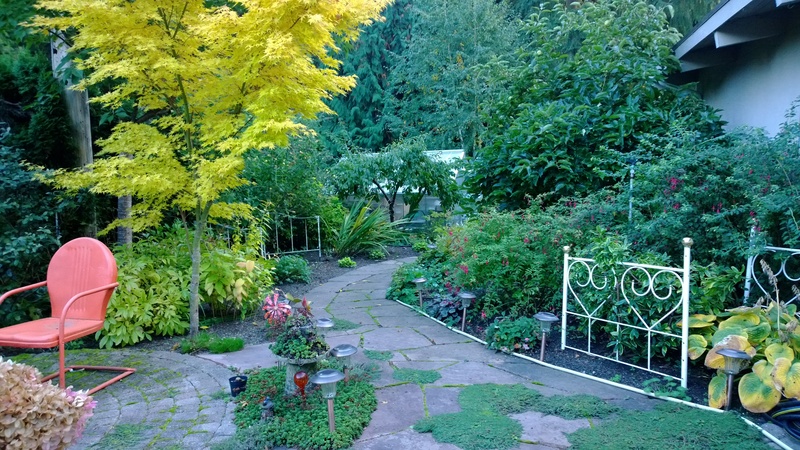 This entry was posted in Garden, Nature, Uncategorized and tagged Garden Path by Annee Brizo. Bookmark the permalink. Beautiful! It looks so peaceful–I can see why you enjoy spending time here. Thanks! I have several other pics in the queue to post. I finally figured out the media library thing and how to post them, but the schedule posts thing still eludes me. Hope your holidays are treating you well. Ours are wonderful. Had one week off and another to go. Happy sigh.